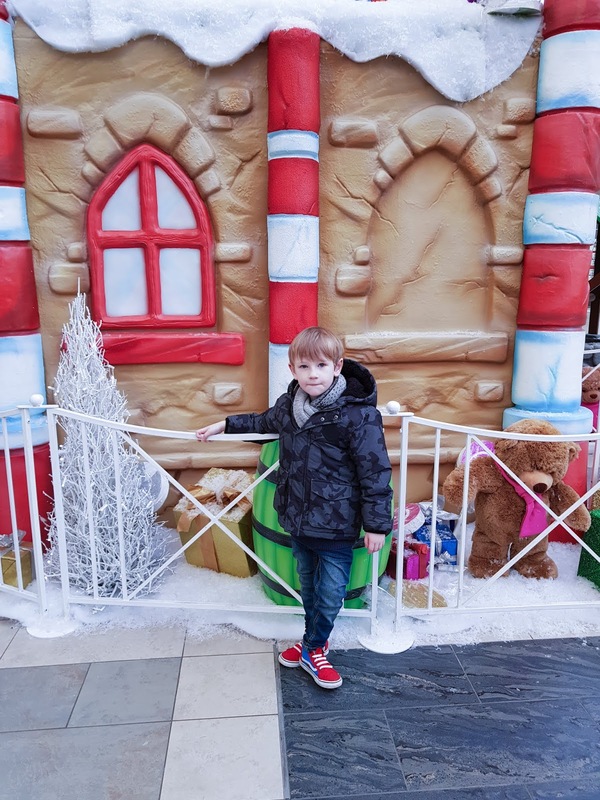 On Wednesday the 21st November I took little bear along to the Santa Grotto experience at St.Enoch centre which was kindly gifted to us and Little bear had a BALL! Every year we try to take little bear to see Santa, we have been to a fair few and each year little bear grows a little more suspicious about the while thing but this year, this year he was in awe of Santa! I wasn't quite expecting the experience that we got if I'm honest but that's because we have had years of let downs so to have such a great experience was amazing as I wasn't questioned afterwards if that was really Santa haha. The grotto looks fab and the Girls working as the elfs were really lovely. Before you go in, one of the girls make sure to tell Santa the Childs name which I thought was good because there's the whole idea that Santa is meant to know who you are and he sees all the children so when you do go into an experience and they ask the Childs name it. stumps the magic a little I think. It was nice to walk into the grotto and Have Santa say Leon's name to him, I think he was so surprised that he knew his name. I really liked the fact that He didn't press on the subject of what he wanted for Christmas and keep asking him that over and over because little bear is really shy and sometimes having questions repeated over and over puts him off so it was nice that the Santa moved on from it with ease but brought it back into the conversation later when Leon felt more relaxed. I have to say, it was the best Santa experience we have had so far and Leon thought it was amazing, he was very chuffed with the whole thing. 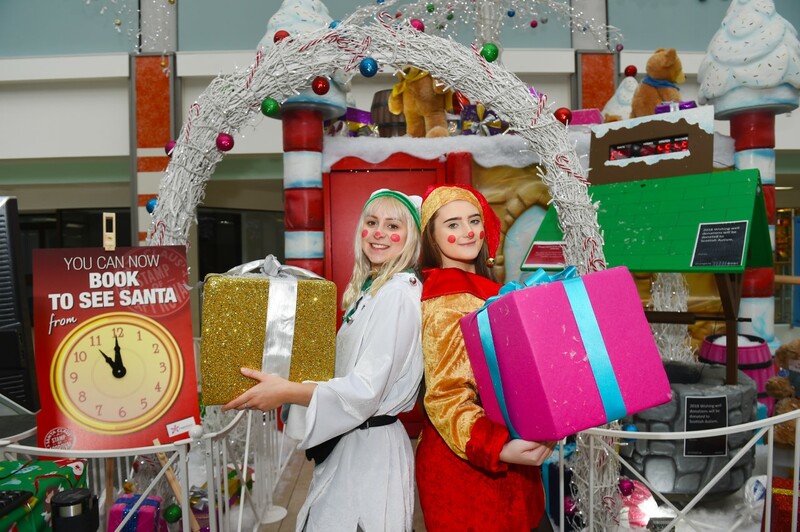 The Santa Grotto experience in St. Enoch Centre also has "Quiet" sessions going on for the second year in a row which is designed for children with autism or with sensory or learning disabilities or vulnerabilities. These quiet sessions will be held between 10am and 11am on Sunday 25th November as well as Sunday 2nd, 9th and 16th of December so there are plenty of chances to see him during those times if that would suit your child better. 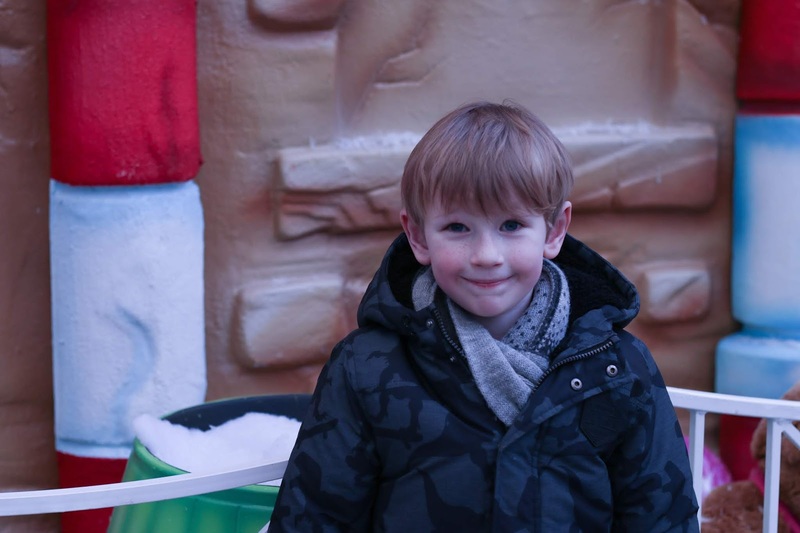 If you're a fan of Hamleys then this is the one for you, The Christmas cheer will continue at St. Enoch Centre in the world’s finest toy shop, Hamleys, where there will be snow every day in December! How awesome does that sound? I will definitely need to take little bear in to see that. Hamleys will also host their annual Meet Father Christmas event where children can join Father Christmas and his elves for a magical fun-filled experience. With games and activities, a chance to write and post a Christmas list to the North Pole, scrumptious snacks and the opportunity to meet Father Christmas, it’s an unforgettable Christmas milestone. Each visitor comes away with an extra special gift bag to take home and cherish. Available from Saturday 24 November until Christmas Eve the event lasts an hour at selected times between 9am-6pm and costs £25 per child. For booking details, visit www.hamleys.com. 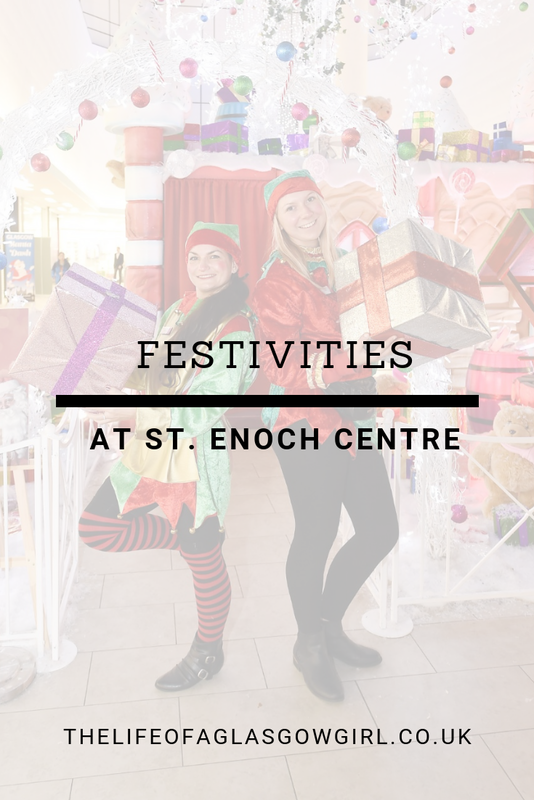 It's safe to say that St. Enoch centre have a LOT of fun for everyone going on right now and I would really suggest going along to at least one of the events because it's so worth it. Little bear had a ball and loved that we got to have a full day out. 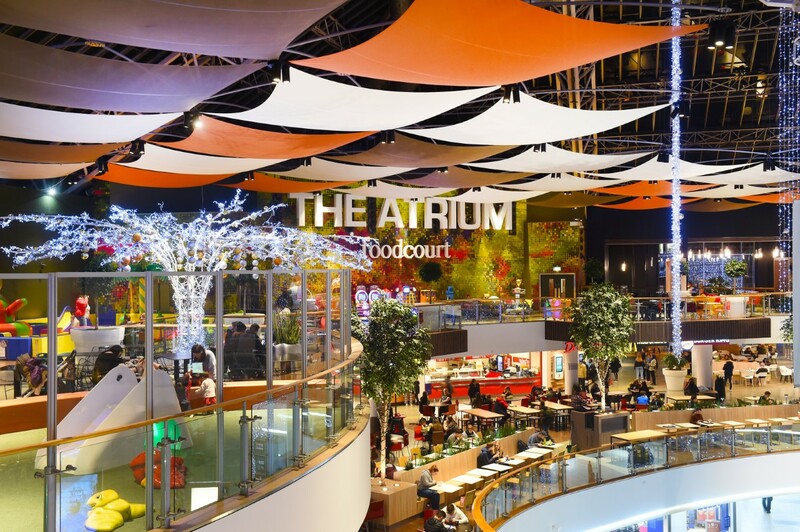 We went for food at the food court, had a nosy in some shops and if you're looking for something to do after you've had some fun at St. Enoch, then the Christmas markets are right outside which will definitely hit home that it's Christmas time. So what are you waiting for? Get down to St. Enoch Centre today!